Quantity Per Pack: 5 PCS. 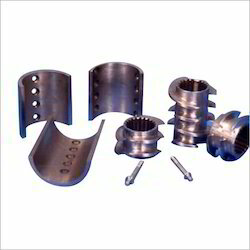 We are notable manufacturer and exporter of Screw Element as per the application requirements of the clients. With a firm commitment to quality, our organization is engaged in manufacturing a wide ambit of HS Screw Element. 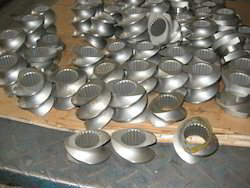 Owing to our expertise, we are involved in offering an extensive series of Kneading Element. These are available in varied specifications and are easily available in the market. We are highly acclaimed in this industry for providing an optimum quality range of Compressor Screw Element. With an aim to establish ourselves among the leading organizations, we are engaged in providing a wide range of Conveying Element. We specialize in Reconditioning of Screw Elements. Offered services are in line with modern market demands and are timely completed. Apart from this, we are best in the market due to our vast experience in air and gas compressors repairing / reconditioning, supported by specialized quality control team, enabling us offer quality products and services. Our organization is engaged in offering a quality range of Twin Screw Equipments, which is widely used to handle different process requirements. These are perfect to carry the difficult to process functions with ease as our range is provided with direct end discharge facility with integral seal valve option.